Apple Music performs Swift U-turn Jump to media player Apple says it will now pay artists during a three-month free trial period of its new music streaming service after US singer Taylor Swift refused to allow it to stream her album; 1989. How Apple made 'biggest profit ever' Jump to media player US technology giant Apple has reported the biggest quarterly profit ever made by a public company. Apple reveals new music app Jump to media player Apple has announced a new app that combines a streaming song and music video library, an internet radio station and a way for artists to share unreleased tracks and other material. 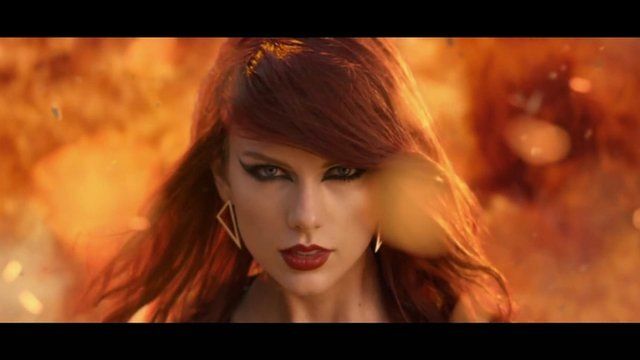 Taylor Swift trademarks famous lyrics Jump to media player Pop star Taylor Swift has trademarked phrases including "this sick beat" and "we never go out of style", in the United States to prevent unauthorised use of her work on merchandise. Cop's Taylor Swift mime goes viral Jump to media player A video of an American policeman lip-syncing to Taylor Swift's Shake It Off has gone viral. The world's most profitable company Apple, says it will now pay artists during a three-month free trial period offered to subscribers of its new music streaming service. It follows an angry complaint by the US singer Taylor Swift, who withdrew her album in protest at the non-payment of royalties. Many other artists had also threatened to boycott Apple Music. Apple has been trying to promote its new music service as "artist friendly".